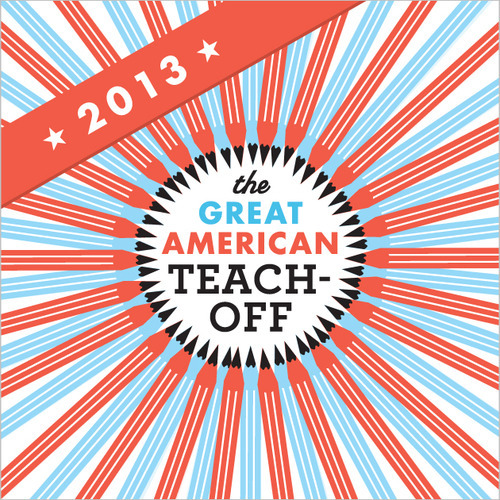 The eNotes Blog: The Great American Teach-Off for 2013! Know a teacher who could use and deserves $10,000? Well, hurry, as it is almost last call for nominating an educator who shows innovation and dedication to their craft. The $10,000 classroom grant will be awarded by GOOD Partnerships and the University of Phoenix. There will be twenty finalists selected from teachers of grades Kindergarten through Twelfth this February 15, 2013 at noon PT. For ideas and inspiration, you can watch videos of last year’s winners, Terry Dougherty and Daryl Bilandzija. Good luck to all the great candidates out there and don’t forget: the deadline for applications is this Friday!